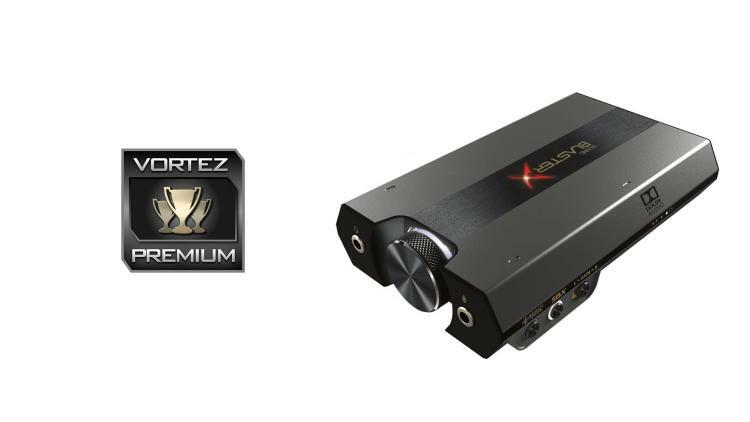 Creative know what they are doing, and it shows, their Sound BlasterX G6 is an audio solution that ticks almost every single box, but there are a few things that need to be improved. One such thing is the software; the main UI is nice and very easy to use, however, the microphone settings are hidden away and really should be part of the main UI. The settings are tucked away inside the setup menu rather than being available to access straight away this has been done for a reason, though we still feel that it would serve the end user better if you could access them without having to spend time searching for it. The second issue is again software related, and during our testing, we noted that at times it would be slow and fail to apply effects, this was mostly common for the lighting effects, but on occasion, the audio effects would misbehave as well. These issues are, to be honest not major as they can be easily remedied with a software update, the next issue though is a bit more of an oversight. As is the G6 comes with a USB power cable - which is fine if you plan on using it with PC, but if you want to use it with a console, you’ll need to supply your own source of power. We get that for some this won’t be an issue, but for others, it might be, and the inclusion of a power adapter would be very welcomed. Performance is where the Sound BlasterX G6 shines, the audio quality delivered by the G6 is superb, it was an immediate improvement over the MSI motherboard we tested it against, and it enhanced every single aspect of the sound. The bass became richer and fuller, the treble was cleaner and more detailed, vocal production became more powerful, and the highs were heightened as well. This not only improved the sound for music, but for movies and gaming. All the above was achieved with just a stock flat eq profile, and when adding enhancements the sound changed again, some of the effects were better than others, but those that did work worked very well and helped enrich the sound produced even further. Other strong points include the G6s ability to work with a variety of platforms, these include PC, PS4, Xbox and Nintendo Switch. It's also very easy to swap between the platforms and to perform the initial setup as its very well thought out and highly user-friendly. This means that the G6 is pretty much the only audio solution you’d need - if you’re willing to swap it between the platforms you use. This makes it even more appealing as it is so easy to improve your audio with minimal effort. Creative have manufactured a highly versatile and extremely impressive audio solution that manages to breathe new life into your existing platforms.